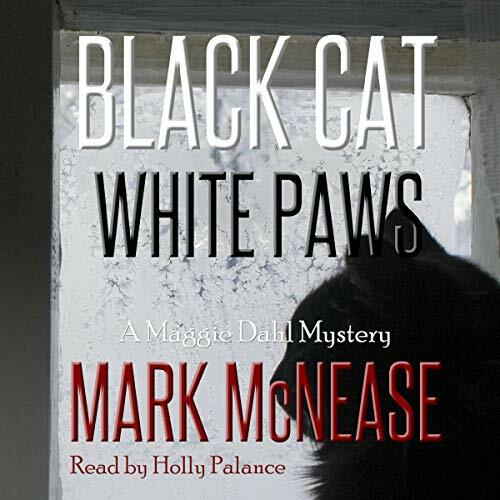 Black Cat White Paws finds Maggie moving from New York City to Lambertville, an idyllic river town with artists, restaurants, incredible landscapes, and enough local characters to populate a murder mystery. Join Maggie, Gerri, Checks the cat, and a cast of colorful small town natives just as eager - and as shocked - to find a killer in their midst. All the twists and turns hold your attention to the end! Well-written! Holly Palance did an excellent job narrating! The circumstances in this book contain so much pain with each layer of the story a new tragedy a new hurt is revealed. It was impossible not to want a resolution to the story, to not want the characters closure around their circumstances. I found myself both exasperated by the characters being truly stupid in investigating the crimes themselves and caught up in the investigation and the clues that are being revealed. The story is skillfully told it shows evidence of lots of planning to make everything come out correctly at the end. 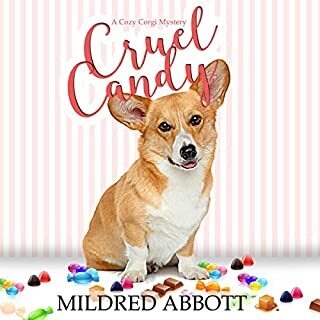 The book is creative, well written, and has a engaging cast of characters including a rather lovely cat who has a surprisingly large role in the story. The narration is well done I enjoyed the character voices they are clear easy to recognize and gender appropriate. The delivery is smooth well-paced and matches the style of the writing. I love mysteries but cats are not really my fav. But this book sounded good and I thought I would give it a try. I am so happy I did. 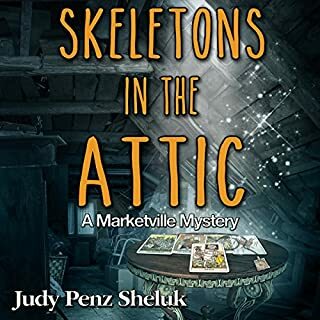 I really enjoyed this mystery and will be reading more in this series and by this author. This is the first in this new series Maggie Dahl Mysteries. Maggie is a really engaging character. Someone who you would like to meet. Holly Palance is the narrator and she is wonderful. I hope she will continue with the rest of the series. I was gifted this book with the understanding that I would leave an honest review. Before their dream of opening a jam store could come true her husband woke up dead. But efforts had been solidly under way and Maggie thought pushing through was the best tribute she could pay to her years of love and marriage. She's on her way to work when she finds her next door neighbor, borderline "Crazy Cat Lady," wandering around Maggie's living room in search of one of her cats. Twelve hours later Maggie finds the cat but discovers his owner dead. Murdered. 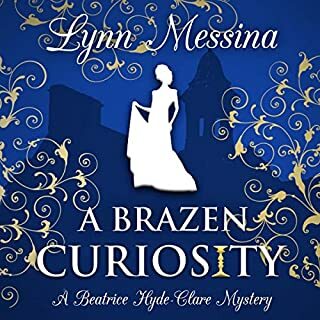 In traditional cozy style she sets about tracking clues, becoming involved in the tragedies of yesteryear, annoying the police, and putting herself in harm's way. Topping it all off with catnip? narration by Holly Palance, who voices Maggie exactly as I would expect her to sound. Maggie and her late husband moved from the big city to a small town to open up a jam and jellies factory and store. Six months after her husband suddenly died Maggie is on her own and determined to make their plans work. Her eccentric cat lady neighbor turns up dead and now Maggie is stuck with the woman’s cat Chex, her sister moving in after divorce #3, and a mystery on her hands which she is determined to solve. There are a few twists and turns and they kept me guessing. The narrator did a nice job reading however sometimes the sentences seemed clumped together and it was hard a few time to pick out who was speaking; overall though it didn’t distract too much. I received a free review copy of this book at my request and have voluntarily left this review. I really enjoy cozy mysteries that incorporate some four legged helpers. I’m a cat lover so I specially enjoyed how helpful her neighbor’s cat was to solving this murder. There were some twists and turns that kept me guessing who could have done it and why. I did think Maggie acted crazy at times! Most people would have been cautious when they think someone is a killer! Not her! She was diving head into the investigation and going after the killer alone! The story was interesting and kept me interested and guessing all the way to the conclusion. 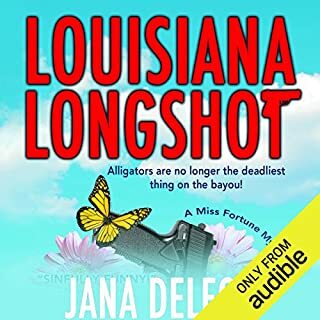 I enjoyed how the story wrapped up nicely and we figured out how the disappearance was connected to the newest murder. People are not always what they seem! Ten years ago a twelve year old disappeared and no one who lived in the town then or since is unaffected. Nine months ago the Dahls moved into town and began to restore the historic home they bought while getting everything together to open a brand new business venture. Six months ago the husband abruptly died during the night. Now Maggie is still working toward that opening when her thrice divorced sister announces that she is moving in with her. The next thing she knows, she tries to return the cat to the odd cat lady next door but finds her body on the kitchen floor and a bloody hammer next to it. 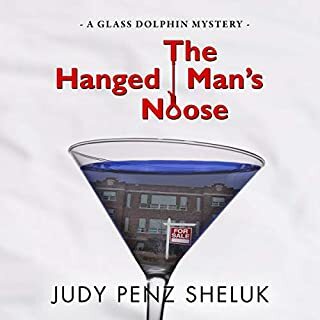 The publisher's blurb gives hints and there is no need for spoilers, but that is just the beginning of this suspenseful mystery with some very interesting characters. Holly Palance is perfect as narrator and really adds to reading enjoyment! I found myself sitting in the car in order to finish a chapter - classic definition of an engaging audiobook. The story has a variety of colorful characters (bonus cat character), emotional depth, and good dialogue. Kept me guessing until the end. The performance provides a really delightful depth making the book particularly entertaining. I've listened to a lot of audiobooks and this performance is one of my favorites. When I review the ebook I said: 'This is a truly engaging story, with characters and a story-line so down-to-earth tha you can believe is something that could easily happen to you. The writing is atmospheric, with so many details that you feel immerse in the small town life, and the plot so thick that you won't be able to stop reading until the last twist simply blows your mind. 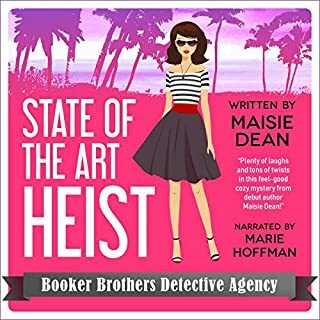 I've now listened to the audiobook, and I liked it even more. That is what happens when a great writer join forces with a great narrator: everything is enhaced. I loved the way Holly Palance brought to life the characters, how easy was lose myself in the story. Even if you have already read the book, do yourself a favour and get this audiobook. It's truly amazing. I loved this book, great characters and brilliant storyline. The narrator was really good. I highly recommend this audio book.